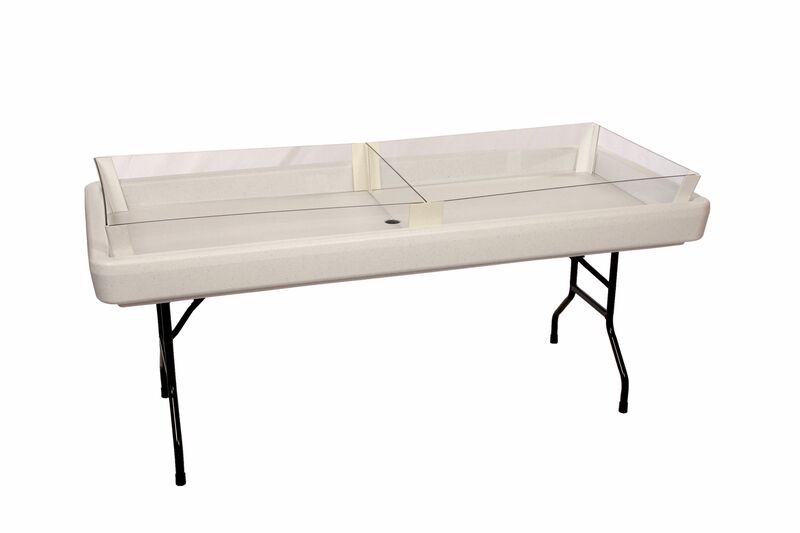 Increases working depth of Fill ‘N Chill Party Table to 6 1/2” to better accommodate long neck bottles. – as an option can be constructed for use in ½ the table or entire table. Shipping weight – 15 lbs. Table will accommodate 11 cases of beverages (12oz bottles).